Seriously this is something I saw on a health coach’s post and I COULD NOT DISagree MORE! That kind of logic is what prevents people from even trying to make changes! Who wants to sign up for eating bland – boring – flavorless food??? NOBODY! Even if you start, for the sole purpose of bettering your health, food that’s not appetizing or enjoyable is not going to keep you committed or motivated for long. Even if you get the results you wanted initially- they aren’t going to stick once you get fed up and run back to your old ways! Have you ever tried a diet or nutrition plan that was full of foods you don’t like… and deprived you of the flavors & textures you love? Just a few days before you couldn’t take it anymore??? Here’s my stance on it. It’s apparently quite an unpopular opinion – but I’m sharing because it’s IMPORTANT!!! And it’s based on my education & also my experience, both personal and working with clients for the past 6 years to support them in healthy lifestyle shifts. You can eat for nutrition AND for taste! You can ENJOY the experience of eating without guilt. You can have food that is VISUALLY appealing and loaded with flavor, without sacrificing your health. It can be an indulgent act of SELF-NURTURING & honoring the fact that YOU ARE WORTHY of being taken care of! 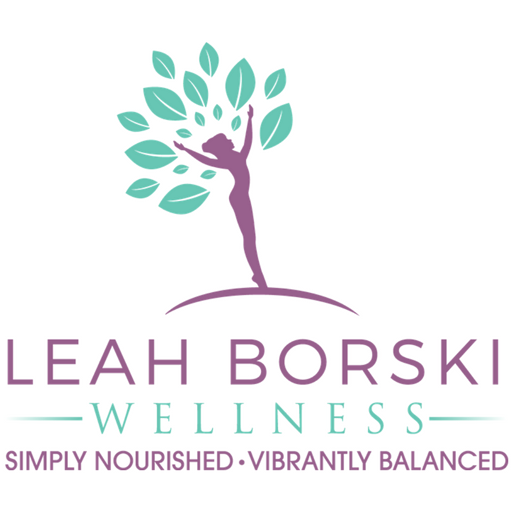 Receive simple *bite-sized*  healthy lifestyle tips inside my private FB community for ambitious women entrepreneurs & remote professionals. Simplicity meets satisfying with this visually tantalizing & palate-pleasing meal that appeals to all ages! Prepare this first by combining all ingredients in a medium bowl. Gently stir to combine. Refrigerate until quesadillas are ready. Place tortilla on skillet and cover with 1/4 each of cheddar and beans. Heat until cheese is melted and tortilla is crisp. Repeat with all tortillas, cheese, and beans. 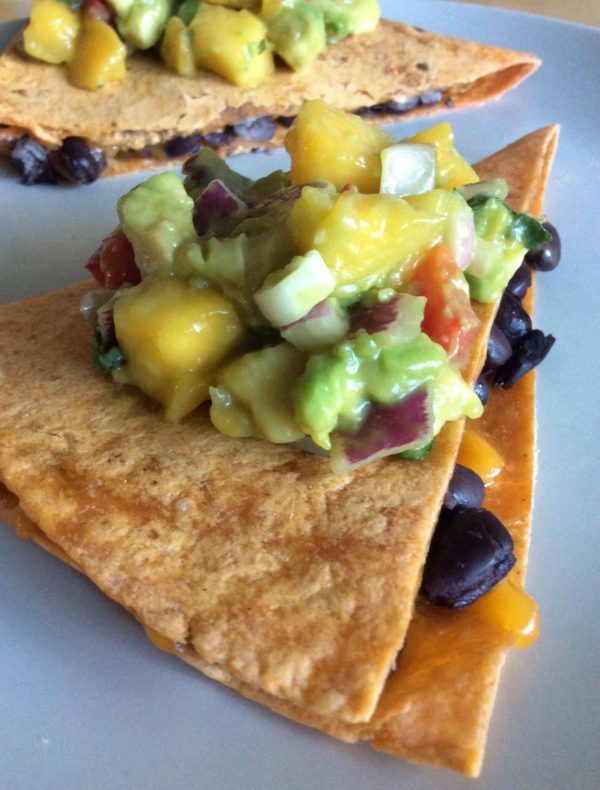 Serve topped with a nice big dollop of Mango Avocado salsa! *I like Tumaros Garden Veggie wraps and also their Sun-dried Tomato wraps because they actually include VEGGIES in the ingredients! (Most 'veggie' tortillas are just dyed with artificial colors and have no actual veggies in them at all, unfortunately.) If you can't find those, this is a friendly reminder to check your labels! Leftover Mango-Avocado Salsa is delicious on top of a rice bowl with cooked brown rice & black beans. The lime juice in the salsa keeps the avocado from turning brown overnight.